The ROI of social media for businesses is often discussed, but establishing an answer has never been easy. But Hitwise, the “leader in online competitive intelligence”, has arrived at a very precise formula for establishing the value of Facebook fans. With nearly 700m users, Facebook is a behemoth – businesses shouldn’t ignore the potential value of tapping into such a large userbase. So how much, exactly, is a Facebook fan worth? Well, Hitwise has leveraged its data sets and shown that 1 Facebook fan is apparently equal to 20 additional visits to a retailer’s website over the course of a year. 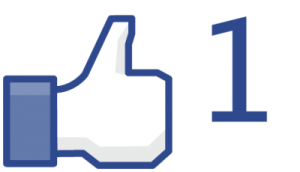 So, if you have 1,000 Facebook fans, that means an extra 20,000 visits to your site.